North Merrick, NY, USA. March 31, 2018. 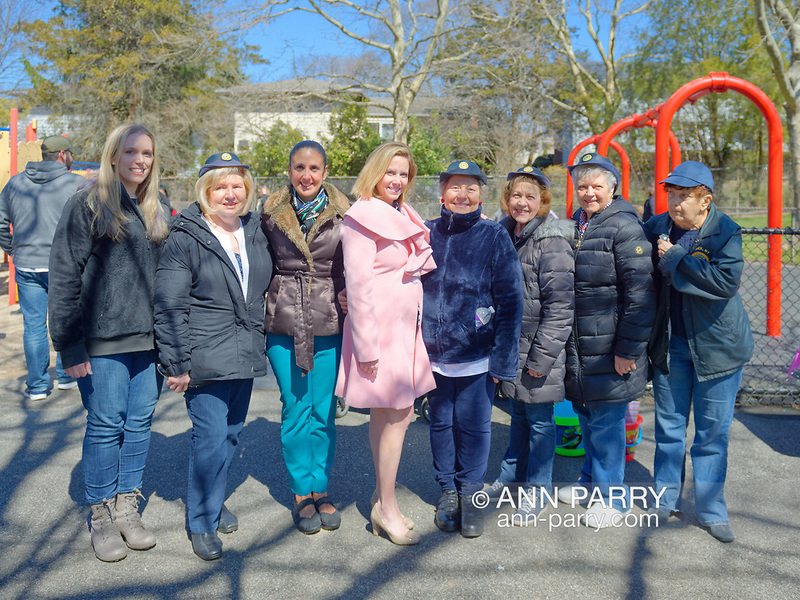 At center, Hempstead Town Supervisor LAURA GILLEN (in pink coat) and Hempstead Town Clerk SYLVIA CABANA (in brown jacket), pose with members of American Legion Auxiliary Unit 1282, a co-host of event: L-R, SUE MOLLER, FLORENCE HOFFMAN, MATTIA SARACENI, SHARON WILLIAMS, FAY AMBROSINO, and BARBARA BYRNE, at Eggstravaganza held at Fraser Park.